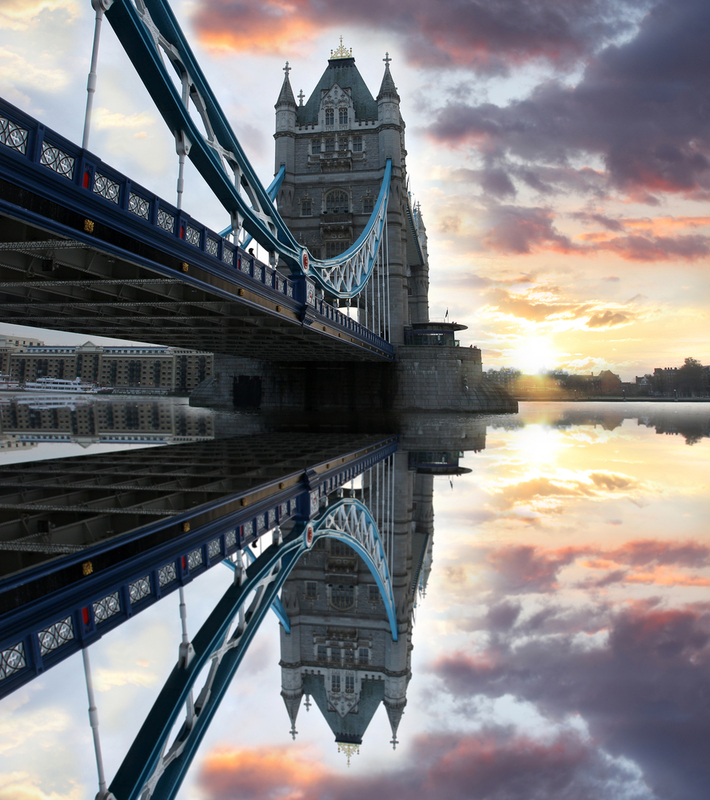 London is one of the world’s most impressive cities and offers a wealth of outstanding attractions, sights to see, things to do and history to explore. 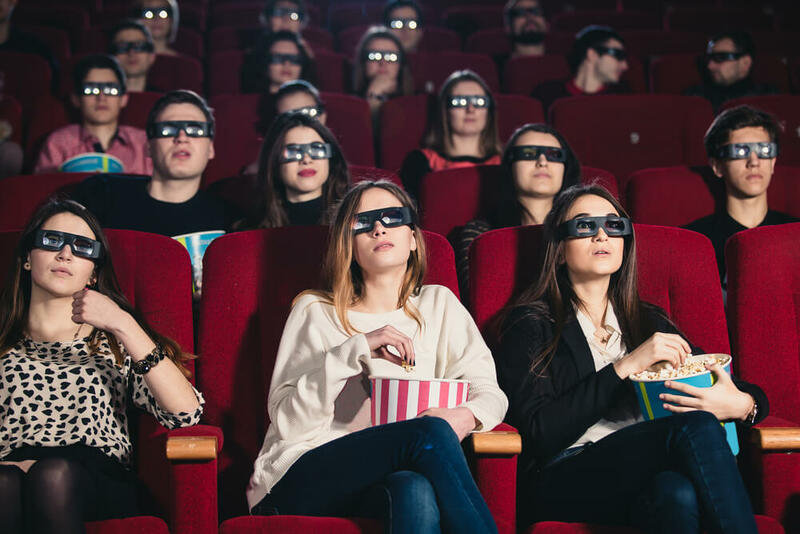 And all of these things and more can be enjoyed by the intrepid souls that are keen to take on one of the capital’s most unique tour experiences. Launched in 2010, Unseen Tours evolved out of the inspiring work of community support group The Sock Mob. A volunteer network that aims to support homeless people across the English capital, the group offers those that are down on their luck the chance to talk to people that care and to build new relationships – all built upon that first icebreaking interaction of being offered a pair of socks. Stemming from these efforts to support homeless people across the city, Unseen Tours draws on the experiences of men and women that have themselves been forced to live on the streets, with their insights into the city intertwined with its compelling history. Offering six distinct tours, visitors can explore some of the English capital’s most renowned areas, with each tour led by a person that was at some point in their life homeless there. The group offers paid work to people that would otherwise still be without a home and ensures the visitors that take part in each tour are able to gain a unique understanding of not only the history of each place, but also the realities of being destitute in one of the world’s most affluent capital cities. It is not just the guides that benefit from taking part in the Unseen Tours scheme though, as 60 per cent of all revenues raised by the group go towards supporting other homeless people and services in the area. Crucially, the tours should not be viewed as some form of ‘poverty tourism’, where these people are exploited for cheap entertainment. Instead, each of the tours touches on the important issues that all members of society should be facing up to when it comes to those that are less well-off than themselves, and it is their knowledgeable guide that is the voice of authority in this regard. 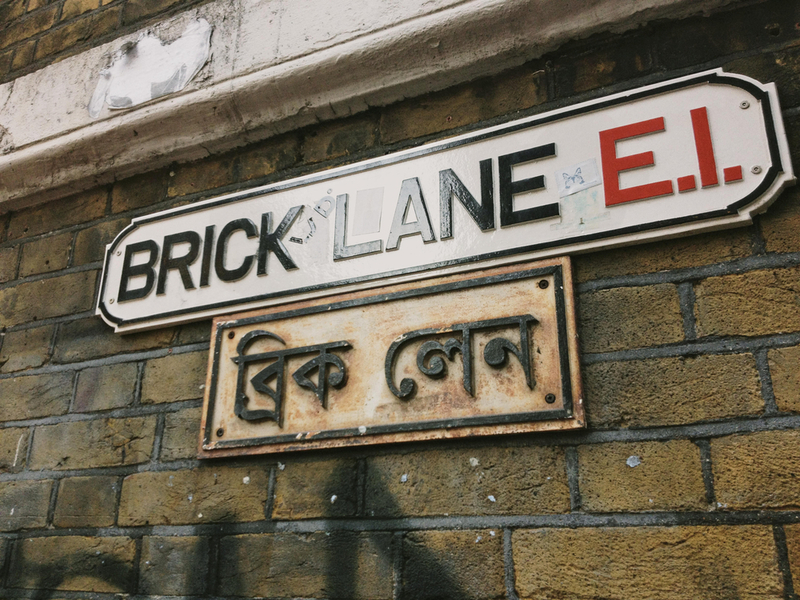 A cultural melting pot in the heart of London, Brick Lane is known as one of the city’s most up-and-coming areas, but it was not always that way. Running from Swanfield Street in the northern part of Bethnal Green and passing through Spitalfields to Whitechapel High Street, Brick Lane tours are led by Pete, who offers a fascinating insight into the area’s history. He offers a tour about the heritage of migration that served to make Brick Lane such a diverse community in years gone by, as well as the legacy that these groups have left behind in this bustling part of the city’s East End. Start and end: Outside Aldgate Tube station on Aldgate High Street, London, EC3N 1AH. Anyone travelling to Brick Lane can make use of nearby Underground links, including Liverpool Street Underground (Central, Circle, Hammersmith & City and Metropolitan lines), Aldgate (Circle, Hammersmith & City and Metropolitan lines) and Aldgate East (District and Hammersmith & City lines). Meanwhile, overground rail services to the area can be reached via the Liverpool Street, Shoreditch High Street, Bethnal Green or Whitechapel stations. Brixton is an area that offers a rich heritage for travellers to learn about, with tours focusing on not just the famous names that have called this area home over the years, but also the more sobering aspects of the Brixton riots in the 1980s and the clash of cultures that sparked this unrest. Fuelled by unemployment and institutional racism, the district has come a long way in the years following the riots, but they remain a chilling reminder of the dangers posed by poor integration between different communities – a lesson that still holds strong relevance given today’s cultural tensions across the UK and beyond. Start and end: Across the road from Brixton Tube station, located between Morleys Department Store and The Body Shop, on Brixton Road, SW9 8EH. All those planning a trip to Brixton can make use of Underground services from the nearby stations of Brixton (Victoria line), Clapham Common (Northern line), Clapham North (Northern line) and Stockwell (Northern and Victoria lines). Overground rail services can also be reached via the nearby stations of Brixton, Loughborough Junction, Clapham High Street, Denmark Hill and Herne Hill. Mike the Mod is one of Unseen Tours’ most popular guides, as he leads guests on a rock and roll history tour of one of the city’s most happening areas – Camden Town. Renowned as a hip place to be seen and hang out, the area continues to attract the most trendy of visitors and revellers, with Mike more than happy to offer his insights into the cultural importance of the area for generations both today and in years gone by. Mike’s happy discussing everything music from Pink Floyd to One Direction, and anyone taking a Camden Town Unseen Tour will no doubt succumb to his wit and charm. Start and end: Outside Chalk Farm Tube station on Adelaide Road, London, NW3 2BP. Visitors can reach this busy part of central London via several nearby Underground train stations, including Mornington Crescent (Northern line), Chalk Farm (Northern line) and Euston (Northern and Victoria lines). Overground rail services can also be found at the nearby stations of London Euston, St Pancras International, Kings Cross St Pancras, Camden Road and Kentish Town. 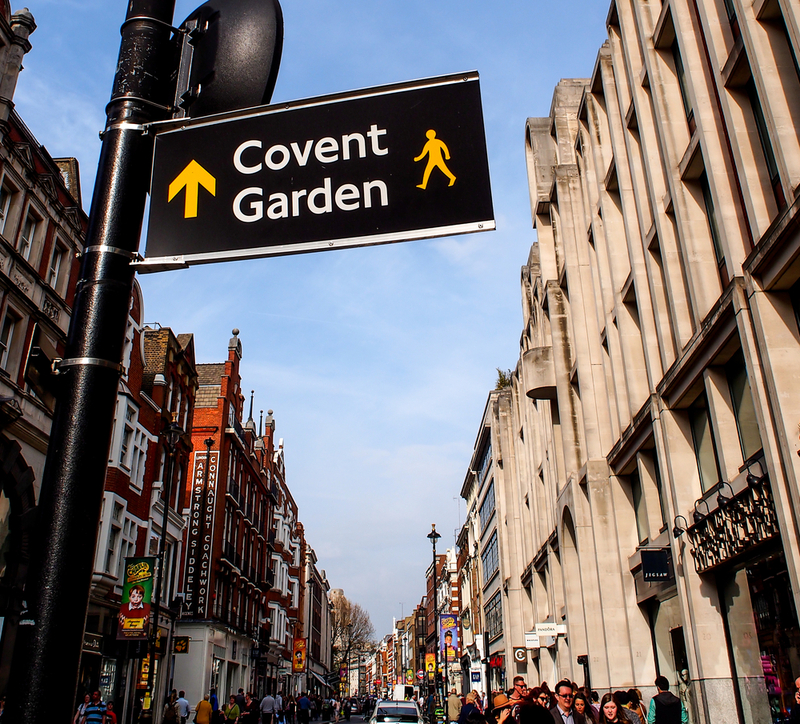 Your guide on a Covent Garden Unseen Tour, Viv, knows all about the history of the area and she’s more than happy to share this knowledge. Ask her too about the Savoy Hotel’s mysterious cat guest Caspar, as well as the secret ceremonies of the Knights Templar that took place in the local area and ghosts in the theatre district, Viv is always happy to share. She speaks four languages and is one of Unseen Tours most articulate – if somewhat quirky – guides. Start and end: Outside Temple Tube Station at Temple Place, London, WC2R 2PH. 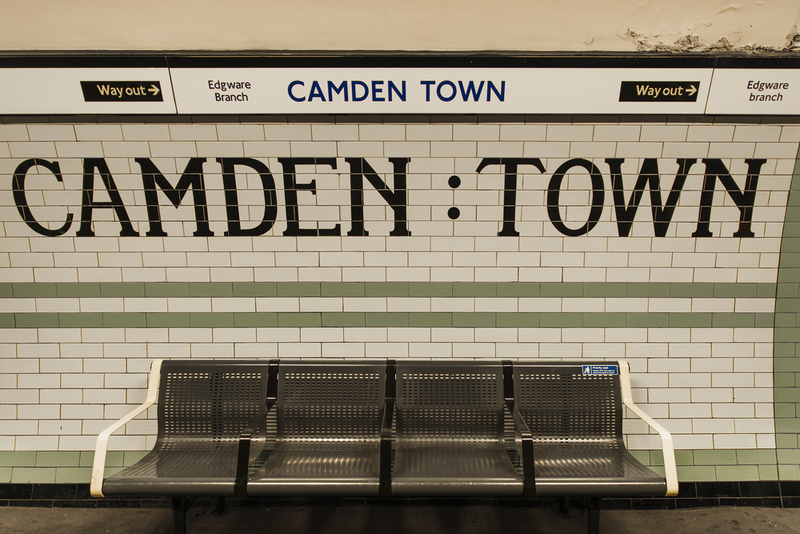 Travel options for visitors: Anyone travelling to Camden Town can make use of several nearby Underground links, including Covent Garden (Piccadilly line), Leicester Square (Northern and Piccadilly lines), Charing Cross Underground (Bakerloo and Northern lines), Embankment (Bakerloo, Circle, District and Northern lines) and Temple (Circle and District lines). Overground rail services are also available at the nearby Charing Cross station. Offering a view into the hidden pathways of London along the famous River Thames, the London Bridge Experience Unseen Tour is led by guide David. Taking in famous landmarks and a wealth of secret history along the way, visitors will have the chance to learn all about the infamous Clink prison, the history of Southwark Cathedral and arguably one of the world’s greatest food markets, as well as the city’s oldest pub. Wending his way along the South Bank and veering off into the borough’s more mysterious back alleys, David talks of the powerful symbols that can be seen dotted around the area, but which are not normally noticed by the area’s guests. Start and end: In the waiting area at the corner of Joiner Street and Tooley Street at London Bridge overground rail station, London, SE1. This popular attraction and meeting point can be reached via several nearby Underground facilities, such as London Bridge (Jubilee and Northern lines), Mansion House (Circle and District lines), Monument (Circle and District lines), Borough (Northern line) and Tower Hill (Circle and District lines). Overground rail services can also be found at the nearby London Bridge station, as well as the Docklands Light Rail stations of Bank and Tower Gateway. Your Unseen Tours guide Henri provides a walking tour of one of the English capital’s trendiest neighbourhoods, the borough of Shoreditch. A mecca for some of the world’s most influential street artists, Shoreditch has a rich cultural heritage that visitors will learn all about during their time on the tour. From William Blake to William Shakespeare, a history of literary greatness can be found in the area. And when visitors think they have seen it all, other attractions that Henri will spring upon his unexpecting guests include the locations and history of a private Mafia bank and a secret MI5 detention centre. Start and end: At the Subway 1 entrance to Old Street overground rail station on Old Street, London, EC1Y 1BE. Up the stairs and immediately on the left. 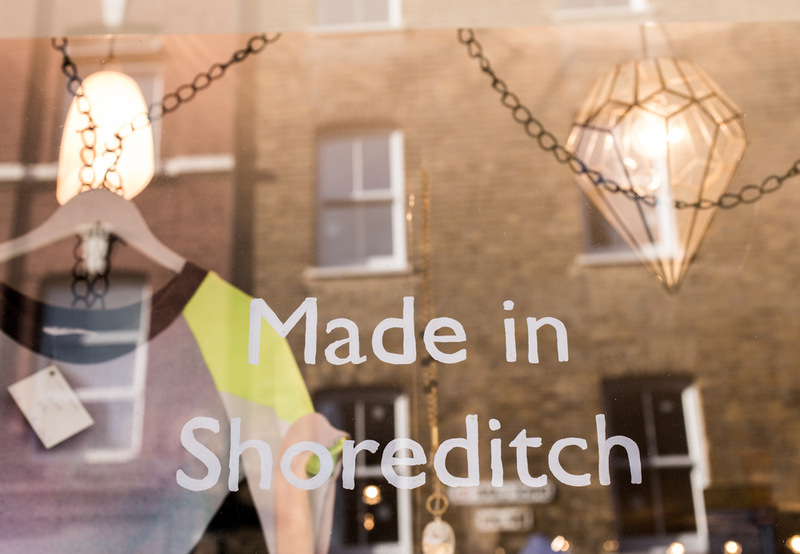 Slightly outside London’s central core, the area of Shoreditch can be reached by the nearby Underground stations of Angel (Northern line), Barbican (Circle, Hammersmith & City and Metropolitan lines) and Liverpool Street Underground (Central, Circle, Hammersmith & City and Metropolitan lines). Perhaps more swiftly though, visitors can reach the area by overground rail services to the stations of Old Street, Shoreditch High Street or Hoxton. How do I book an Unseen Tour? 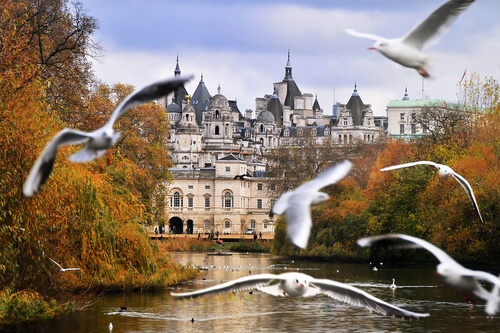 Taking the time out of a London getaway to see the English capital from the unique viewpoint of an Unseen Tour can therefore be a perfect choice for anyone hoping to experience all that the city has to offer during their stay. For this reason, the process of booking a place on an Unseen Tour could not be simpler, with spaces able to be reserved both online and over the phone. Tickets are priced at £10 for adults and £7 for concessions. Tours begin at 2pm each day and last for approximately one hour and 45 minutes. 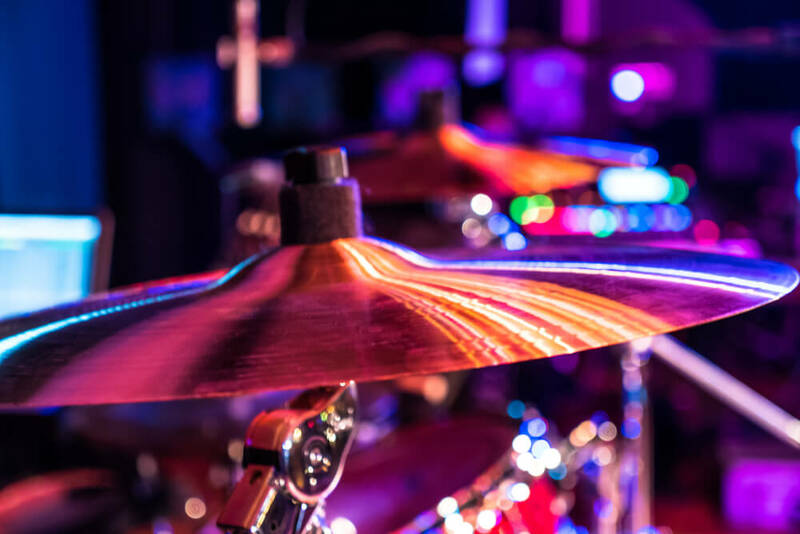 Full contact details can be found by heading to the official website of Unseen Tours, while those hoping to find out about upcoming offers and promotions can sign up to the attraction’s regular mailing list. 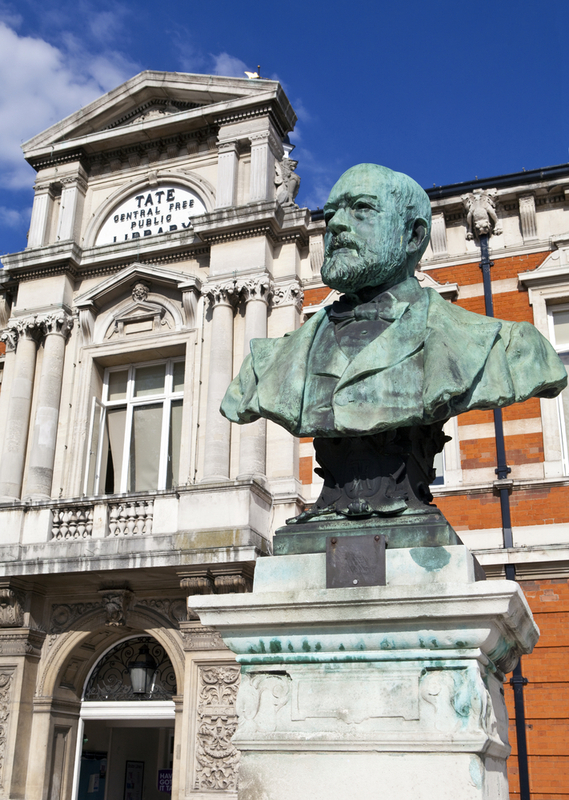 Share the post "Explore London’s unexpected history during an Unseen Tour"